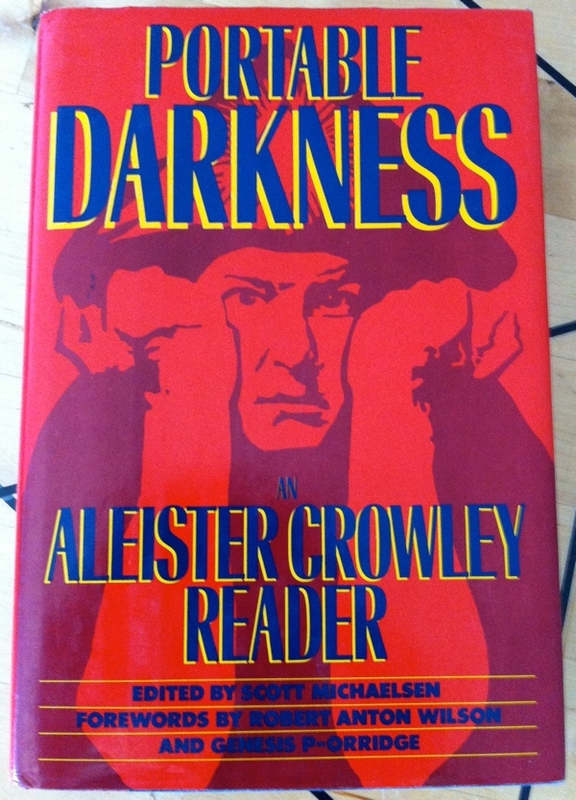 Portable Darkness: An Aleister Crowley Reader is part of the collection at the Reading Room. This is the 1989 first edition hardcover which still retains material removed from later editions, including De Arte Magica Liber CDXIV (Book 414). This book was edited by Scott Michaelsen and has forewords by Robert Anton Wilson and Genesis P-Orridge. This entry was posted in A∴A∴, Hermetic Library Reading Room, Ordo Templi Orientis, The Libri of Aleister Crowley, Thelema and tagged aleister crowley, books, de arte magica, genesis p orridge, Reading Room, robert anton wilson, scott michaelsen on July 6, 2013 by John Griogair Bell.